The highly anticipated Moana premieres nationwide today. My daughter and I got a sneak preview and all I can say is WOW! 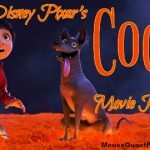 From the music to the animation to the special magic only in Disney can create, this movie is definitely a treat for all. 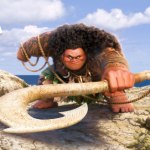 SYNOPSIS: With the guidance of her grandmother and the help of a disgraced demigod named Maui, Moana must save her dying island by going against her father’s wishes and setting out beyond the reef which protects their home. First things first. 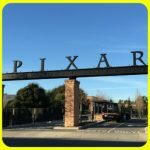 As with most Disney and Pixar movies there is the added bonus of an animated short prior to the actual movie. Inner Workings tells the story of a typical business man stuck in a mundane job living a mundane life and leaves us with the lesson that life is meant to be lived. This fit in perfectly with the tale of Moana. Her people think to be safe they must stay where they are, doing the same thing every day and never sailing beyond the reef. However, Moana knows that to save her island she must venture into the unknown and live the wayfaring life her ancestors meant for her. Our story begins with the cutest little baby version of Moana (does Disney know how to do babies or what… remember baby Dory?) learning the history of her Polynesian island, specifically the story of the demigod Maui who stole a magical stone which kept the islands alive and flourishing. 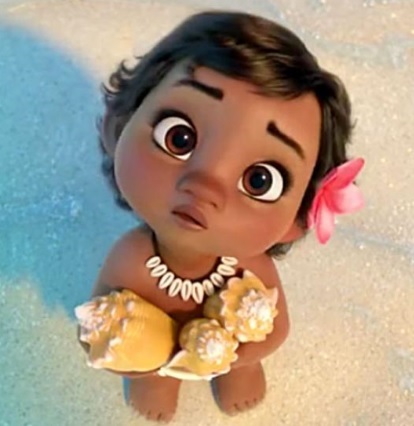 To save her own island which is now without a fertile fishing ground and vegetation which is less and less reliable as a source of food, Moana, with the help of her Gramma Tala, realizes she is the chosen one. She must sail beyond the reef to find Maui and make him return the stone to it’s rightful place before her island wastes away to nothing but ash and soot. However, the journey begins with Moana suffering a huge loss in her life which will evoke all the feels but ultimately lead her to know she is doing the right thing. 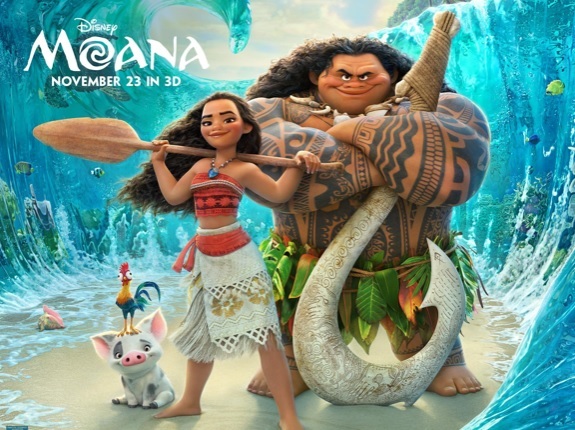 The voyage brings Moana and Maui in contact with crazy cast of creatures such as a roving band of coconut pirates called the Kakamora, Tamatoa who is a crab with a love for all things shiny (and a weird Dr. Frankenfurter vibe) and a lava monster with an interesting tie to the island it protects. 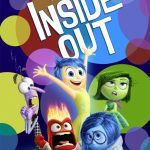 The story is neatly stitched together by the amazing soundtrack co-written in part by Lin-Manuel Miranda. From How Far I’ll Go to You’re Welcome to We Know the Way, Miranda’s music maintains his Broadway flare while also giving the characters the space to show off their personality. And who knew Dwayne ‘The Rock’ Johnson could sing?! I mean seriously sing!! His version of You’re Welcome is entertaining and fun. And just like the Frozen soundtrack, the main song How Far I’ll Go is featured twice in the movie, sung once by Cravalho and again by pop artist Alessia Cara during the credits. Let the debate begin but my vote actually goes to Cravalho’s version just as it did with Idina Menzel’s version of Let it Go. The visual aspects of this movies were beyond compare. From water which made it appear as if you were looking into a fish tank to a scene where I was convinced it was actually real footage of Aulani, A Disney Resort & Spa, Disney is definitely upping their animation game. They even made the flowing hair of the lead characters seem as if it was real. 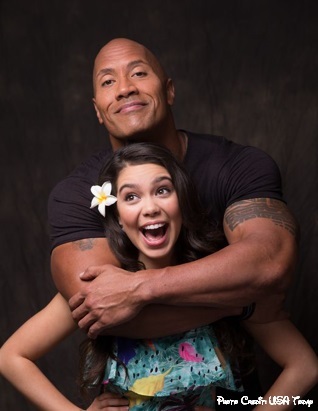 Speaking of lead characters, Moana and Maui are voiced by newcomer Auli’i Cravalho and Dwayne ‘The Rock’ Johnson. Both bring a charisma to their roles which comes through even though we are only hearing their voices. Cravalho even adds the perfect amount of teenage angst most parents are very familiar with. We all know Disney likes to add their little “Easter Eggs” to every movie and this one was no different. Keep a keen eye out for one of your favorite Frozen characters thanks to Maui. Lastly, if you know Disney movies then you know the end isn’t necessarily the end. Sitting through the credits of producers, animators, art directors, studio execs and even cast babies you will be rewarded with a little extra treat. We’ll call it a crab at the end of rainbow. Now don’t let the PG rating scare you. While there are some tense moments on Moana and Maui’s voyage, those are typically tempered by a silly chicken named Heihei. I would definitely recommend this movie for all ages. Therefore, I am giving it my highest rating, 4 Mickeys. I hope to see this movie again… very soon. Moana sailed into theatres everywhere on November 23, 2016. That’s all for now. Follow us on Facebook, Twitter and Pinterest for more Disney parks and entertainment content. Sue Nowicki is an alumnae of the 2014/15 Disney Parks Moms Panel. She splits her time between planning her next Walt Disney World vacation and being team mom to ten high-energy volleyball players where she fills the roles of secretary, navigator, head cheerleader, treasurer, athletic trainer and team psychologist. You can follow her on Twitter @JazzinDisneyMom.